Abstract. Laparoscopic surgery, also known as 'keyhole surgery', has proven highly advantageous for the patient compared to more conventional open surgery. Nonetheless, the minimally invasive nature of the laparoscopic technique imposes a set of unique spatial cognitive challenges that render this procedure notoriously difficult to acquire and master. Although the importance of spatial cognition in laparoscopic learning has already been established, the existing literature does not (or only partially) address many salient questions. Among others, it remains largely unclear 1) which specific spatial abilities influence laparoscopic technical skill learning, 2) how these abilities develop to shape surgical technical mastery over an extended period of time, 3) how these abilities develop in actual surgeons training in intraoperative environments, and 4) whether any individual and/or situational factors other than spatial abilities (e.g. 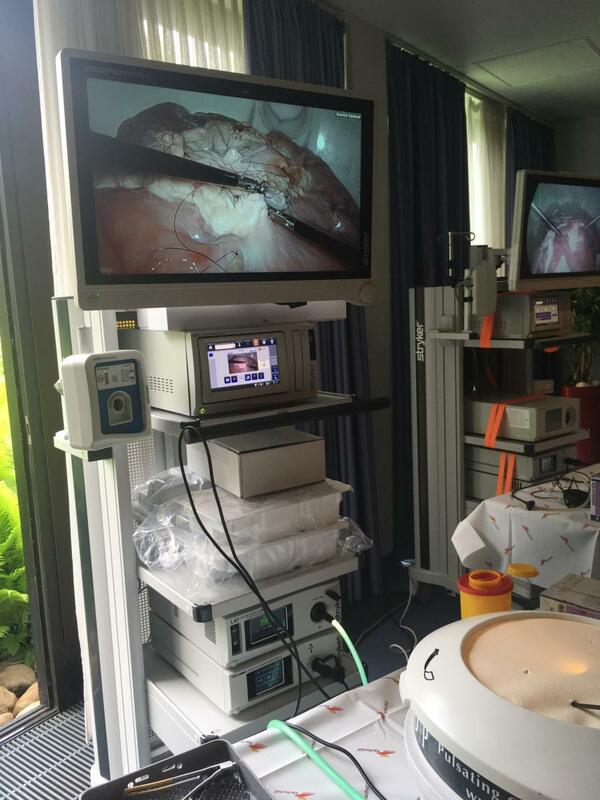 surgeon-specific/institutional) exert any significant influence on the development of laparoscopic skills? The project at hand will address these questions by longitudinally tracking novice surgeons spatial abilities and technical laparoscopic skills over a two-year period. In doing so, this project will break new ground not only by shedding new light on the malleability of spatial abilities and theories of skill acquisition in surgical learning but also by providing new data pertinent to improving surgical education. Description: Laparoscopy refers to a minimally invasive surgical technique within the abdominal region, whereby the patient’s abdomen is firstly inflated with carbon dioxide to create a workspace for the surgeon. Small incisions are then made, to allow trocars to enter the abdominal cavity, through which a viewing device (endoscope) and other surgical equipment (e.g., graspers) are inserted. The endoscope will illuminate the surgical field in view and project its image on a 2D monitor viewed by the surgeons, whilst the long and thin laparoscopic instruments will be used to manipulate the tissue and organs inside the body. Laparoscopy is today considered the gold standard for many procedures in the abdominal cavity, offering extensive and impressive post-operative benefits to the patient. For the surgeon however, performing such a minimally access procedure is met with series of complex visuospatial and psychomotor challenges such as for example; 1) viewing a three-dimensional space within the human body through a two-dimensional representation presented on a LED screen, reducing the binocular depth cues and thus depth perception of the operative field, 2) the reduced haptic and tactical feedback caused by the instruments, and 3) reduced dexterity and non-intuitive movements caused by the ‘Fulcrum effect’, among many more. Thus, compared to the open or robotic surgery, laparoscopy yields greater ergonomic constraints, such as fatigue and stress, musculoskeletal pain, impaired surgical judgement and decision making etc. These surgical complexities are one of the main causes of the observed complication and errors rates when using the technique. Naturally, these unique ergonomic conditions make acquiring and mastering laparoscopic surgical skills particularly challenging. Nonetheless, recent research on Human Spatial Cognition in surgical skill learning demonstrated a two-way cognitive inference, suggesting that surgeons own spatial abilities and capabilities also influence the rate/ability for acquiring surgical skill proficiency. This concept is not surprising, as we know that spatial cognition does, in fact, govern aspects of spatial perception and attention, important for humans to mentally represent and exploit space within the given visual modality. We can therefore accurately assume, that visuospatial ability plays a pivotal role in promoting navigation, surgical problem solving and planning of behaviour. In laparoscopy, spatial cognition mediates 1) effective cognitive shift from the egocentric to allocentric view due to the navigation of the camera, b) scanning, planning and locating relevant landmarks within the frame, and c) simultaneously keeping track of his own body, the instrument position within the body and the position of the camera and the instruments of the assisting surgeons, for example. Although the influential role of spatial cognition in laparoscopy has already been established as a whole, many critical questions pertaining to the clinical development of such spatial cognitive processes remain. For one, findings of existing studies have been partly contradictory: with some studies concluded that spatial cognition as a whole predicts laparoscopic learning, others indicated that only specific underlying spatial processes are important, and still others found spatial processes to only influence the early phase of novices training. Additionally, some studies even found a correlation between training outcomes and spatial abilities: novices with strong spatial abilities were found to reach skill competency faster, while novices with low spatial abilities may never reach competency, even with increased practice. Considering that spatial cognition is expressed differently in different environments, and most findings on the topic of laparoscopic learning were measured within simulated environments, it remains largely unclear to what extent spatial processes actually influence actual intraoperative skill acquisition. State of the art: The aim of this project is to gain a more comprehensive and mechanistic understanding of the role of more specific underlying visuospatial processes, their development throughout the learning curve, and their influence on promoting the acquisition of intraoperative technical laparoscopic surgical skills, in actual resident surgeons in general and/or visceral surgery, for a duration of two-years. This will be achieved through a longitudinal, systematic and intraoperative tracking of; 1) which specific underlying visuospatial processes influence the acquisition of intraoperative technical skills, 2) how these spatial processes influence the overall intraoperative learning curve, 3) how these spatial processes influence the intra-operative performance, and finally 4) which (if any) surgeon-specific factors influence the acquisition of laparoscopic surgical skills. Design: This project is structured in three Phases; Phase I will explore the current status quo and opinions of general and/or visceral surgeons towards the current laparoscopic training system in Germany, through an online questionnaire. 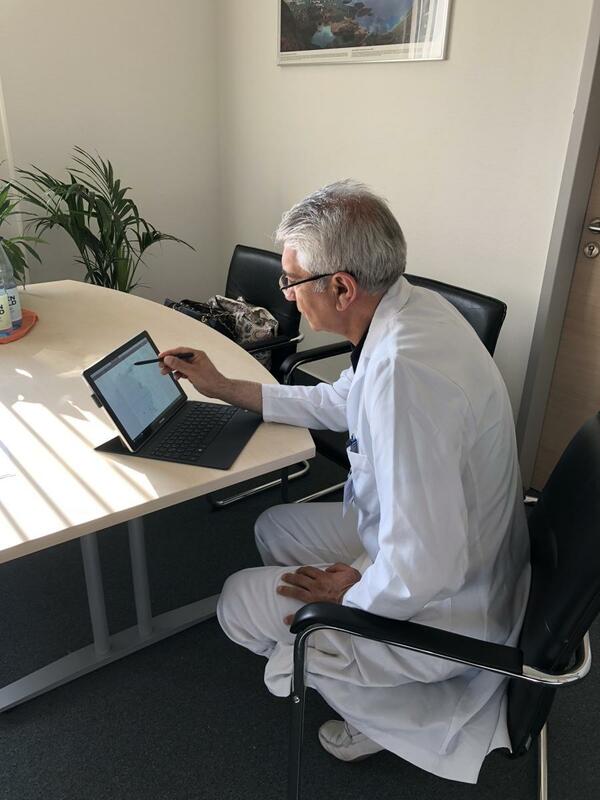 The questionnaire will be distributed in partnership with Berufsverband der Deutschen Chirurgen (BDC) and Deutsche Gesellschaft für Chirurgie (DGCH) (WP 1.1). Phase II will gather psychometric data from the senior (experienced) laparoscopic surgeons, in aim to build a spatial cognitive profile of experienced surgeons and thus devise an expertise and proficiency classification criterion and novices learning objective criterion (WP 3.2). Phase III will longitudinally identify and monitor the development of resident surgeon’s spatial abilities (psychometric tests), alongside their intra-operative laparoscopic performance (GOALS) development, throughout a 24-month period. To control for any degree of ‘learning effect’ that may occur with repeated psychometric measures, a control group will be subjected to the same cognitive tests and condition as the novice surgeon. 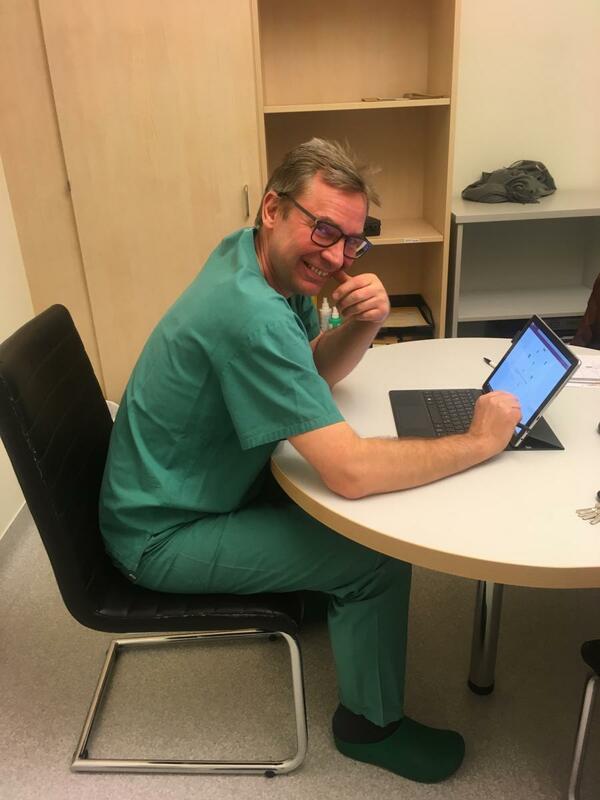 Settings: This project is being conducted intraoperatively at the University Clinic for Visceral Surgery at Pius-Hospital Oldenburg and Department for General, Visceral and Surgical Oncology at Klinikum Bremen-Mitte. Vajsbaher, T. & Schultheis, H. (2017). The role of Visual Working Memory in Minimally Invasive Surgery: A new perspective and its implications for surgical education and practice. 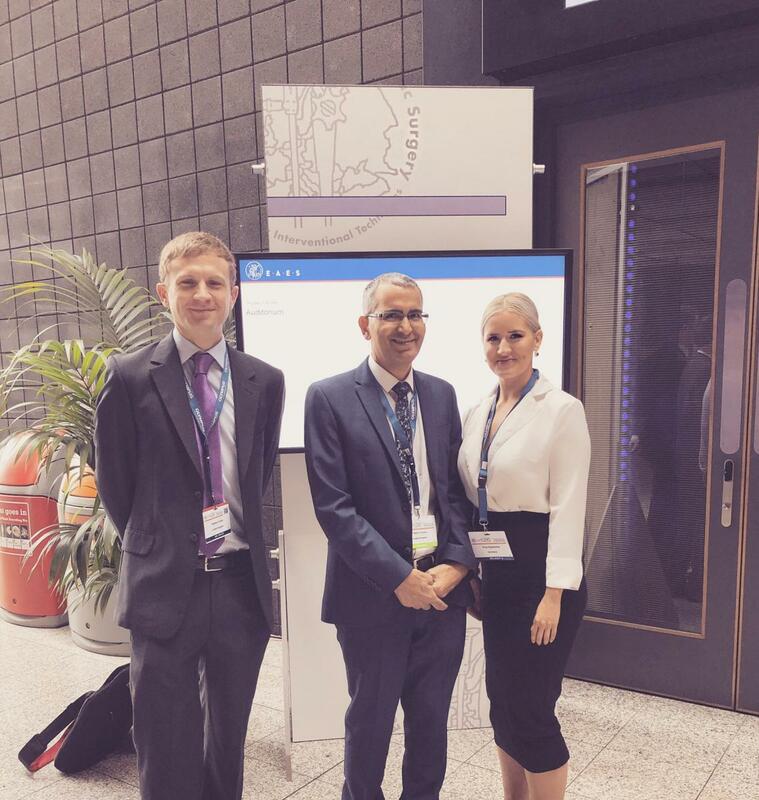 In Journal of Surgical Endoscopy, Special Issue: Proceedings of the 25th International Congress of the European Association for Endoscopic Surgery (EAES), 31(2), 86. Vajsbaher, T. & Schultheis, H. (2017). Phases of laparoscopic learning: How cognitive processes influence technical skill acquisition throughout the learning curve. MMI Interaktiv, 14 (Proceedings of the 3rd Berlin Summer School Human Factors 2017), 13 – 14. Vajsbaher, T & Schultheis, H. (2017). The role of Visual Working Memory in Minimally Invasive Surgery. In M. H. Fischer et al. (Eds.) Abstracts of the 20th Conference of the European Society for Cognitive Psychology (p. 157), Potsdam, Germany.